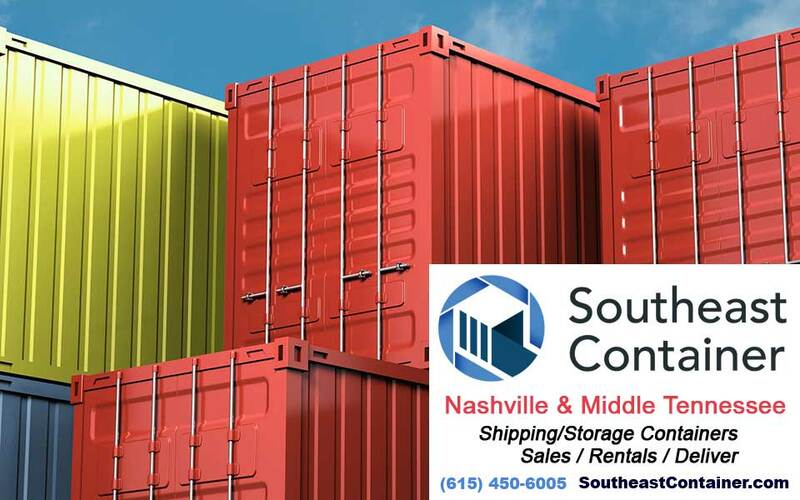 We have a huge selection of storage containers for sale that we can deliver right to your location anywhere in Middle Tennessee. We have shipping containers available in 20′ or 40′ sizes. Shipping containers are also referred to “conex containers” by some. Our storage containers are most commonly used on construction sites such as for commercial, residential, industrial and retail construction but they are great for personal projects and work spaces. While most of the shipping containers we have are 20′ and 40′ in size, there are other sizes available to fit your specific situation. Call today to tell us about your storage requirements and we will help you find the perfect container for your needs. Our 20 foot shipping containers are very popular to store equipment, tools or products. They are also the most affordable option. Customers buying and renting our 20′ storage containers have automotive repair shops, restaurants, contracting companies or they manage schools or sports. Homeowners also find them extremely useful. With limited space but the need to protect and store property our 20′ storage container works perfectly. Contractors often use 20′ shipping containers to securely store their tools and equipment. Additionally, the 20′ storage solutions are used on farms, storing files and documents, even military and personal use. Our 40′ steel shipping containers are primarily used for larger storage needs, such as at large construction sites, tire storage, military purposes, municipal, commercial and large industrial projects. Per square foot comparisons also makes them a more cost effective solution for storing large items or quantities when compared to the 20’ containers. We are ready to deliver your 40′ steel storage container wherever you need it in the Middle Tenn area even out to Bowling Green Kentuck!